The refugees are the collateral damage in Australia's widely criticized "Stop the Boats" policy, the rule that asylum seekers who try to reach Australian shores by sea will never "make Australia home," even if they are genuine refugees, are children or have skills. — Los Angeles Times. "[T]he arrivals by sea seem to prompt anger. One reason for this could be that migrants and refugees who try to reach Australia by sea are, in fact, coming illegally. Those that are being resettled through its Humanitarian Programme, meanwhile, are registered refugees being accepted under Australia's international obligations." — J. Weston Phippen, in The Atlantic. Then-Secretary of State John Kerry worked out the deal with Australia to "fast track" the immigrants, but did not tell Congress. It would be illegal if the deal was considered a treaty negotiated by Kerry. According to the Constitution, it would have to have been sent to Congress for ratification. It is hard to complain about Australia -- democratic, sunny, cheerful, and oh, those koalas and kangaroos. On a more serious note, Australia is a welcome ally, participating in military operations around the world with American forces and sharing our concerns about aggressive Chinese behavior in the South- and East China Seas. Australia is spending billions to modernize its military forces. But a few things about Australia should be made clear as President Trump scuttles an Obama-administration deal to take 1,250+ refugees currently in Australian-run internment camps in Papua New Guinea and Nauru. Internment camps? Papua New Guinea and Nauru? Under laws first put in place in 2001, successive Australian governments have required asylum seekers coming by boat to be intercepted. The conservatives, on winning power in 2013, set up a maritime blockade that Mr. Turnbull has offered as a model for Europe. But the system began to unravel after Papua New Guinea's highest court last year ordered the closure of the Australian-operated immigration center on Manus Island, ruling asylum seekers were being held illegally. The refugees are the collateral damage in Australia's widely criticized "Stop the Boats" policy, the rule that asylum seekers who try to reach Australian shores by sea will never "make Australia home," even if they are genuine refugees, are children or have skills. "If you come to Australia illegally by boat, there is no way you will ever make Australia home," an Australian army chief warned in a 2014 video aired online and on television in countries such as Iran, Afghanistan, Pakistan and Sri Lanka. To be sure, it's not that Australia has an issue with refugees–in fact, it has agreed to resettle 12,000 Syrians, atop the refugees it typically takes through its Humanitarian Programme. It granted 13,800 refugee visas between 2013 and 2014, and 20,000 between 2012 and 2013. But the arrivals by sea seem to prompt anger. One reason for this could be that migrants and refugees who try to reach Australia by sea are, in fact, coming illegally. Those that are being resettled through its Humanitarian Programme, meanwhile, are registered refugees being accepted under Australia's international obligations. The two main parties also contend that its policies deter human-smuggling. So off they go to Nauru and Manus. Out of sight, perhaps out of mind until the UN documented serious problems in the camps, including physical, emotional and sexual abuse. The Guardian (Australia) published a series last summer on abuses at the Manus camp, following the leak of more than 2,000 "incident reports" detailing "assaults, sexual abuse, self-harm attempts, child abuse and living conditions endured by asylum seekers held by the Australian government, painting a picture of routine dysfunction and cruelty." Although children make up only 18% of those in detention, more than 51% of the incident reports involve children. Cases of depression and self-harm are high; two people set themselves on fire last year, one of whom died, and one girl swallowed bleach. Many have reported that the biggest problem is the sense of paralysis at being trapped in limbo indefinitely, according to Tracey Donehue, a former teacher at one of the facilities interviewed by the Los Angeles Times. Following the very unpleasant exposure, the government of Malcolm Turnbull announced in August 2016 that it would close one center on Manus Island, but would bring none of its internees – 854 adults, all men – to the Australian mainland, raising the question of what to do with them. Australia's Immigration Minister, Peter Dutton, said Canberra's "position is very clear, and that is we are not going to accept people who have sought to come to our country illegally by boat, they will not settle permanently in our country." "Congress only learned of the deal through media reports two weeks ago [November, 2016] and – according to a letter sent to administration officials by Sen. Chuck Grassley (R-Iowa), and Rep. Bob Goodlatte (R-Va.) – the deal is not only a matter of grave national security concern, but it could be illegal." Surely this description answers the question why Australia doesn't want them - "They are mostly men from Myanmar (Rohingya Muslims), Malaysia, Iran, Iraq, Afghanistan, Pakistan and Somalia....."
These are not refugees, they are migrant labourers - Malaysia, Iran, Pakistan are not at war; Rohingya Muslims have a home in Bangladesh, which also is not at war; if they are coming from Iraq, Afghanistan and Somalia they are more likely to be evading their obligation to serve their country as are the Eritreans who frequently claim to be Somalis. The West better wake up soon to the environmental disaster that is unfolding in a wide arc through the Middle East and North Africa and which is propelling these migrants, most of whom are unskilled and illiterate labourers, to the nearest developed economy they can reach. Since Islam has ruined virtually all the countries in which it constitutes the majority religion, they are coming to Europe and they are coming in numbers our media has apparently decided to conceal from us. By the time we realise the true extent of it, it will probably be too late. The reason for the turnback policy was because of the criminal people smugglers in Indonesia. They bought up old fishing boats and loaded them with people who flew from the Middle East to Malaysia or Indonesia as tourists. It is not known just how many founded at sea without an alarm being received. The known ones were about 1600 lost at sea. By turning the boats around and sent back to Indonesia, or if they were unseaworthy or were scuttled by the immigrants they were put in ships lifeboats from the Border Force ships and sent back to Indonesia. When they returned to Indonesia those still waiting there got the message and the traffic stopped immediately. That is the policy Australia has recommended to Europe but it appears they prefer to see them drowned at sea. These refugees in South America are NOT South American but Middle Eastern/and or African Muslims who paid about $10,000 to people smugglers to fly them to Colombia and were they then were passed along the smuggling route to America. Only they never reached America but were caught in Costa Rica and often sent back to Colombia. These people also have phones with GPS - not a cheap commodity. All in all - they are economic migrants who lie - because by now they have no papers ! they could not fly without papers to Colombia - ergo - criminals. God help Australia and the world into believing any of the economic migrants. Hi, appreciate aspects of this piece and agree that it is less than ideal to engage in such a trade. To describe the refugees as collateral damage of a "stop the boats" policy is, though, factually incorrect. They are the collateral damage of our emotional defectives in the Labor Party whose "don't stop the boats" policy killed thousands. But we don't hear of their inhumanity, and they probably sleep well at night, knowing they meant well. I would also take any 'discovery' by The Guardian Australia of widespread abuse as a willful untruth based on their politically warped determination to accept 100% of the illegal immigrants' allegations against those of their own government acting in their material interests. In other words, a lie rationalized by inherently untrustworthy liberal political sentiments, a self-delusion which even the liberal self doesn't genuinely believe within the deeper self. Something I completely understand having been suffused in the liberal milieu myself, and witnessing its hypocrisy. Nice to see such honest open answer to questions on Australian refugees. Thanks. The involvement of John Kerry says it all. Anything he is involved in is a disaster. To fully understand your article you need to know some more facts. Since the end of the Vietnam war, refugees have sought to emigrate to Australia by boat. We are a huge island so it is the only way to come if you don't have a visa. Since the Middle East wars, many from those countries now try to come here as well. Some are refugees, some are not. Some are 'country shoppers' that want a better way of life, and some are Islamic agitators. It is common for the boat people to be without any means of knowing who they are and where they have come from, but almost every one of them has transited a safe country to try and get here, mostly arriving in those safe countries by plane, not boat. Indonesian criminals set up 'people smuggling' operations, charging huge fees and putting most on leaky old fishing boats totally overcrowded and unsafe for the voyage. Thousands drowned. They would also sail the boats out from Indonesia then put out an SOS for Australian Patrol Boats to rescue them. No other Nation would. Many arrived in Australia this way, wearing designer clothes and after having cosmetic medical procedures in Indonesia. Since they had no identity papers we were forced to take their words as to who they were and what country they came from. Almost exclusively young men of military age. The only way to stop the influx was to 'stop the boats', that stopped the people smuggler criminals, murderers, and by refusing to EVER allow people coming here this way to enter, the influx stopped. Unfortunately some refugees were sent by the smugglers to test our resolve, and these are the ones caught up on the islands. Almost all our on shore detention centres are now closed, there are NO children in detention. Per head of population we take more genuine refugees, mostly from the Middle East, than any other country on earth except Canada. The total population of Australia is less than 25 million, we can't absorb millions of refugees, mostly uneducated unskilled families. Having America take these remnants of humanity caught up in this situation is the only viable solution. In return we will take even more of your problem refugees. 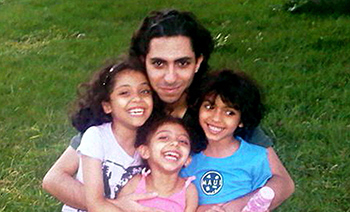 If we let these detainees in, hundreds of thousands more will follow, and we will all suffer. Our social security system cant cope as figures show that even 10 years after arriving these people are STILL on government pensions. To Don Batty: You said "Having America take these remnants of humanity is the only viable solution. .... Our social security system cant cope as figures show that even 10 years after arriving these people are STILL on government pensions." Well, America has taken in more "remnants of humanity" thanks to Obama (not our best president). We also know that they will never integrate and will be on OUR social security system for at least 3 generations -- thirty years of supporting those who do not believe in our democratic system and who only want to install Sharia Law in the United States. Most Americans are having a very difficult time supporting their own families and now we have to support a group of people who despise everything we stand for. So much for gratitude. Because we have taken in thousands of Middle Eastern and African "refugees", now we have a Middle East in Dearborn, Michigan where "no go" zones have been established just like in Germany, France, Sweden, Finland, etc., etc., etc. Some "refugees" who were settled in Arizona were surprised that they were required to work in order to obtain benefits. They were highly insulted and picked themselves up and went to Michigan where no laws existed that required them to work. Are they "refugees" or "economic migrants"? Our only hope for the U.S. as well as Europe and Australia, is that we eliminate ISIS and send back these "refugees" to rebuild their homeland and their military. If they stay as "refugees" they will continue to drain our resources and persist in resisting and trying to destroy our civilizations in Europe, Australia, and the U.S.
As an Australian I have long had nothing but contempt for the Pacific Solution and its proponents. This is not because I have any concern for the illegal immigrants involved in it. They are criminals,nothing more. 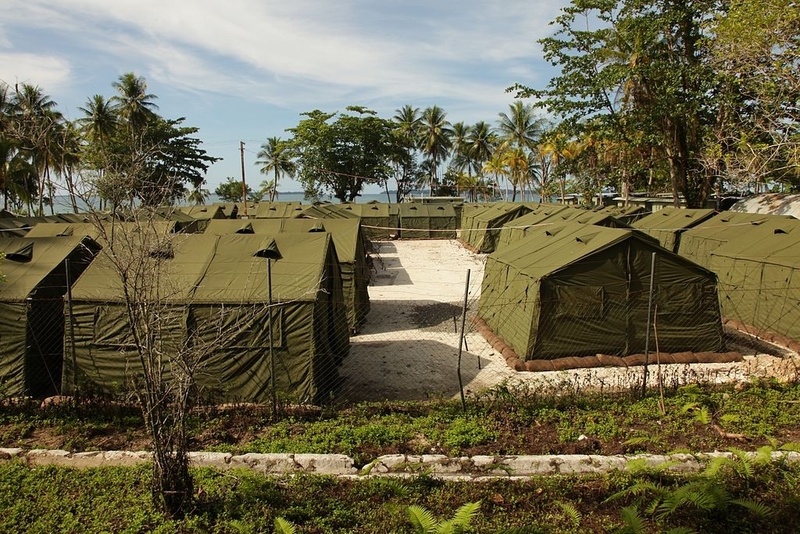 Australia has paid PNG and Nauru, both poor Pacific island nations, to host camps for illegals. This is highly offensive to both nations and has caused domestic problems for them. The recent "deal" between the Australian and Obama administrations smacks of more gross stupidity. It has run aground on President Trump's opposition and who can blame him. For this and other reasons Australia needs to upgrade its surveillance and interception capabilities along its Northern borders in particular. This involves naval and air force units. Boat turn backs just outside of Indonesian waters are part of this. For those that get through and for the illegals on Manus and Nauru they should be interned in Australia in a secure facility until they can be interrogated and deported. There is an ideal location South of Darwin close to a major RAAF airbase. In order for this to happen Australia should withdraw from the Refugee Convention which is now manifestly obsolete. Until all this happens we are going to see more examples of craven stupidity at high levels. The Obama Administration seems to have unilaterally decided to do away with the system of checks and balances put in place through the US Constitution by making deals instead of treaties, thereby cutting out the role of Congress. It took Obama, a Constitutional Law professor, to dare anyone to challenge the process! How many other Deals are hidden in the morass of State transactions which took place under his administration? We the people need to demand that Congress wake up! Why should either Australia or the United States be forced to accept these Islamic refugees? Saudi Arabia exports oil and Islamic Terrorism, have the Saudis take these refugees or perhaps the Sudan! Why would either the U.S. or Australia have to add to the threat of the already existing Islamic Trojan Horse that exists in both Western countries? The policy was introduced after more than 1200 people drowning trying to get to Australia on rickety boats supplied by people smugglers who typically charged $10,000 per passenger making millions from this misery. Many of these boat people had destroyed their passports and other identity documents making assessment of their refugee status difficult if not impossible. Australia has had a number of refugees go to Syria to join IS and a number of jihad related killings at home. Hundreds are on permanent terror watch. The refugees in Nauru have become a political football. The current Government would have problems bringing them to Australia, mainly political problems. The situation on Nauru as described by the UN and the left wing Guardian newspaper was shown to be much different in a film report by Chris Kenny of the Australian Newspaper, as anyone who cares to take the time to look at it would plainly see. Of course these refugees want to come to Australia, but Australia does more than its share in welcoming refugees and naturally prefers people to come in through the front door to queue jumpers. I concur with the other Australian readers comments. The Australian Navy were presented with the task of rescuing refugees from sinking boats, alive or dead. Even babies and small children were at severe risk, all had to be recovered, many dead. Who would want to see that scenario often? And then to taken to an Australia camp until settlement in a "village" placement. Each refugee and families is paid by the Gov. We are not a wealthy country, the cost of caring, feeding and housing all of them takes a huge slice from our Budget, already in debt. Lastly, very few intend to integrate into our multicultural living standards.